iZettle, a technology which lets you take card payments on your smartphone or tablet, is opening a pop-up shop for 6 days from Monday 27th October. Each day a different company will trade for 12 hours, from 9am - 9pm, taking payments from iZettle - full list of companies below. 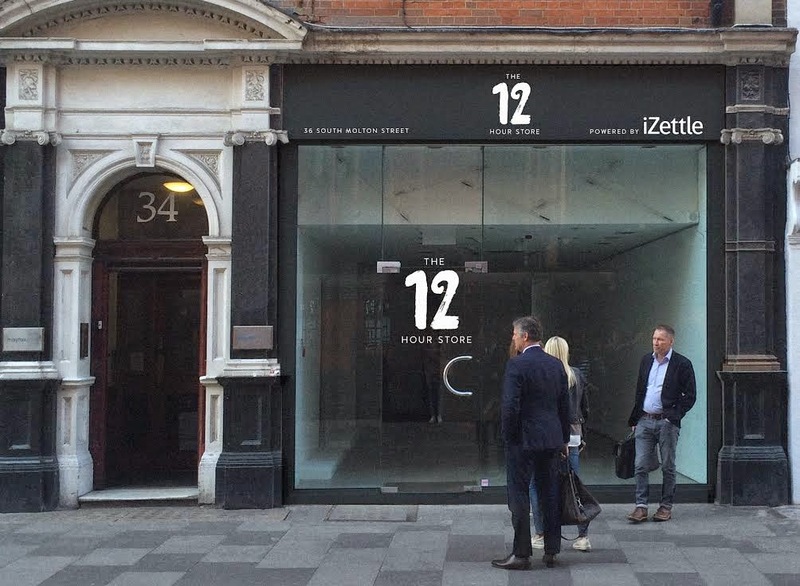 "iZettle, Europe’s number one provider of mobile payment services and apps, today announces the launch of The 12 Hour Store which sees iZettle empower six small businesses to trade from one of the busiest shopping districts in the world, central London in the UK. Based on a mindset that ‘Big things start small’, The 12 Hour Store will be open for six days featuring businesses that have aspirations to become as successful as their neighbouring global retailers. Each business will trade out of the store for 12 hours with everything from the storefront to the interior being decorated to fit their brand. Every day the store will open at 9am and stop trading at 9pm at which point it will then transform to reflect the next company’s brand. The only consistent factor within the store is the iZettle setup. iZettle is powering each and every business and enabling them to take payments."